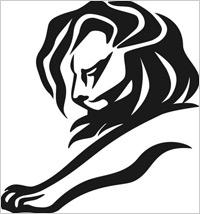 In the Cyber Lion competition at Cannes, two agencies won Grand Prix Awards for two separate campaigns, festival organizers confirmed today. The computer campaign, per the supporting entry brief, was born out of chip maker Intel and Toshiba’s desire to refresh the “Intel Inside” positioning for Toshiba laptops with Intel chips. The computer maker’s Ultrabook was featured in the campaign. The campaign featured a 45-minute film with gaps for consumer-generated content. The campaign generated 70 million views, 26 million interactions and 97% approval on YouTube. Sales increased by 300% with a 66% lift in brand perception for Intel and a 40% lift in brand perception for Toshiba. The Oreo campaign was launched in 2012, the 100th anniversary of the brand. The challenge: how to rejuvenate a brand that had always been presented to consumers in traditional ways. The answer Draftfcb came up with: “Celebrating the culture of the day, every day.” The shop created 100 ads in 100 days. Each morning, the agency identified trending news stories, gave them a playful Oreo twist and pushed the ad out to social networks. The results included 433 million Facebook views with a 280% increase in shares. That created 231 million media impressions, which Draftfcb said made Oreo the brand with the highest buzz increase (49%) in 2012. Other U.S. Cyber Gold Lion winners included agency Hudson Rouge for a Lincoln MKZ campaign called “Hello Again.” The agency and campaign won two Gold Lions, one for Web sites and microsites and the other for best music/sound design. The Martin Agency also won two Cyber Gold Lions for a campaign called “Clouds Over Cuba” for the JFK Presidential Library and Museum marking the 50th Anniversary of the Cuban Missile Crisis.